KYS Note: We've seen it on the New boat market primarily driven by Beneteau providing Quality product with a reasonable entry point and value. The latest report from the boat MLS- Yachtworld (soldboats.com) provides insight into the consistent uptick in Brokerage sales. 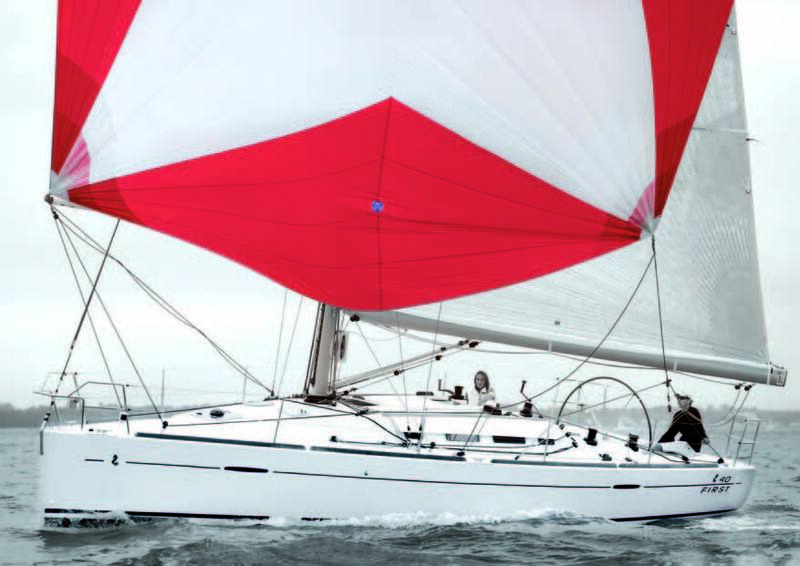 Karma Yacht Sales is a full service dealer- providing New boat sales of Beneteau Sailboats, Brokerage of pre-Owned boats (Seller representation and buyer representation) and Service. Continuing the trend in 2010, yacht brokerage sales in the United States in April were at a substantially higher volume than in April 2009, with unit sales for the month up 28 percent or more in all size categories of boats 55 feet and under. According to YachtWorld.com member broker reports in the proprietary database, SoldBoats.com, 2927 boats changed hands; that's 626, or 27 percent, more than did in April 2009. However, total valuation of boats sold was up only 7 percent, from $267 million to $285 million. The best-performing size categories were for boats 36 to 55 feet, which were up roughly 50 percent in volume and almost as much in value. In particular, 589 boats 36 to 45 feet were sold, up from 377 the year before. And the valuation of these sales increased 74 percent, from $47 million to $81 million. In fact, between April 2009 and April 2010, unit sales and total valuation of sales was up 28 percent or more in nearly every category of boats smaller than 55 feet long. However, among boats over 55 feet, unit sales were up a relatively modest amount, from 66 to 75 boats, and the value of the sales dropped dramatically, from $127 million to $81 million. Dramatic shifts in this category due to the wide range of sizes and prices aren't unusual; March 2010 sales of $148 million were up more than $100 million from $41 million the previous March. If you average March and April sales, you may have a better indication of the recent big-boat market. Looking at the U.S. brokerage market as a whole, we find that in April it continued to show a big improvement in unit sales over 2009, tracking just below the five-year average. The 2927 boats sold is just below the average of 3008 for April. And for the second month in a row, unit sales were also marginally ahead of 2008, when 2897 boats were sold. Indicative, perhaps, of the backlog of boats on the market, the time-to-sale of the boats sold in April continued to increase, with an average of 311 days. This is up 40 days from the average time it took to sell a brokerage boat a year ago. Year to date, the average is slightly less, at 287 days, which is 31 days more than the average in the first four months of 2009. To read the original article. We are officially well inside the 90 day mark for the annual Race to Mackinac. How are you doing on your provisioning planning? Realistically speaking, it means that many MAC racers are just now starting to dust off their checklists of 'to-do' items for the race. We see a pattern each year where many racers leave alot of their long lead time items until the last minute. We get the frantic rush calls which usually result in extra rush shipping charges and bad news when sailors procrastinate a bit too much. In an effort to help keep many of you ahead of that curve, we decided to get this note out with some key contacts that you can turn to and get the longer lead time items addressed. Contacts: Robert Hanson or Jack Nelson parkersales@g-lakes.com Open M-F 8am-4pm. Lead time for Servicing: ~10-12 Business days Cost: ~ $160.00 for base check, rearm/repack and RT frieght. Total Marine Safety has the proper hazmat shipping permit to ship your unit via FEDEX to the service center to get repacked and recertified. Feel free to reach out to them directly. Additional Services: They also service Zodiac, Revere, DSB, DBC, Surviva life rafts. Lead times vary by manufacturer. 2. Life Rafts: Limited to Certifications by official approved safety recert centers. 540 Thompson Creek RoadACR Electronics, Inc. Remember a little bit of advance planning goes a long way. Make the call today and stay ahead of things. We certainly hope we caught your attention, but truth be told the boat did reach 65 miles per hour (on the truck enroute to Chicago). The New Farr Designed First 40 is scheduled to arrive today in Chicago. 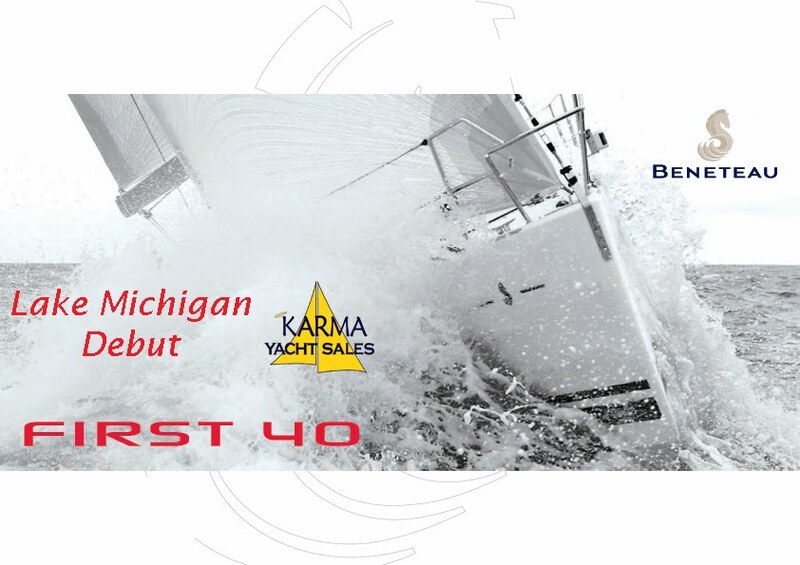 Making her Lake Michigan, debut- the First 40 builds upon the Racer/Cruiser legacies set by her Farr Designed predecessors- the First 10R, the Popular First 40.7 and the envy of other boat manafacturers- the First 36.7. Karma Yacht Sales is proud to introduce the Lake Michigan Sailboaters to this new generation of 'FIRST' boats and the FIRST of many new and exciting new models to debut this year from Beneteau- the largest manufacturer of sailboats worldwide. In her short time on the international racing circuit, the First 40 has already turned heads by winning the 2009 Rolex Sydney-Hobart Yacht Race this past December. Winner of the SAILING WORLD Magazine- Boat of the Year award for 'Best Crossover"
Nominee of SAIL Magazine's BEST BOATS of 2010. 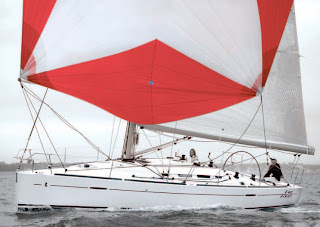 Outfitted with features that make her comfortable during a casual cruise with friends and family, on a port-to-port distance race or racing around the buoys- the FIRST 40 delivers- true FIRST fashion. 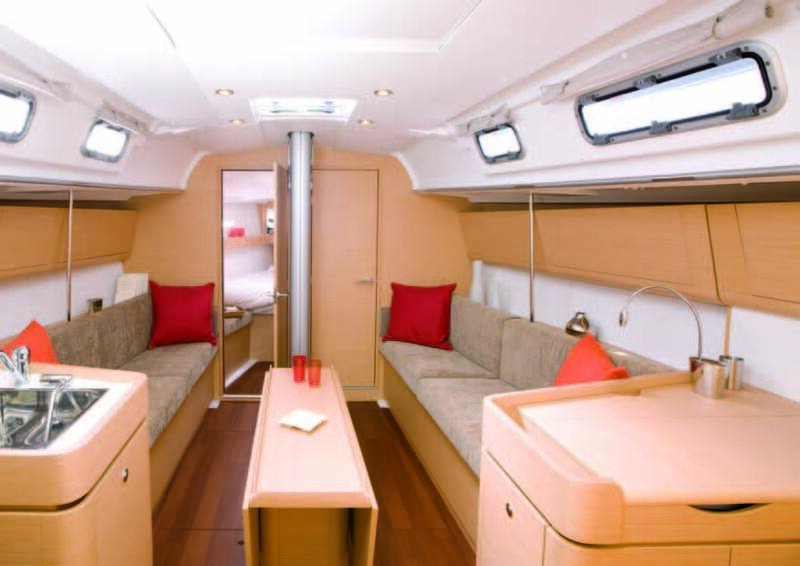 The boat will be at our Crowley's Yacht Yard Office and is available to see by appointment. Stay tuned as we will be hosting a GRAND ARRIVAL reception at Chicago Yacht Club in the upcoming months. (Crain’s) — The joint venture that wants to redevelop the massive South Works property on the south lakefront has asked the city for as much as $98 million in tax-increment financing to help pay for the project’s first phase, which would include a major shopping center and nearly 1,000 homes. If the city signs off on the request, it would be the largest TIF grant ever for a private real estate development in Chicago. The Community Development Commission will consider the proposal at a 1 p.m. meeting Tuesday. The commission’s blessing would mark a major step forward for Chicago-based developer McCaffery Interests Inc., which has been planning a development on the vacant steel mill site for more than five years. The TIF grant would help fund the project’s initial phase on the northwest corner of the 530-acre lakefront site, which sits between 79th Street and the Calumet River. McCaffery, which is developing the site in a joint venture with property owner U.S. Steel Corp., plans to spend about $300 million on the 76-acre first phase, which would comprise 984 residential units and as much as a million square feet of retail and other commercial space. “It’s really going to be a new downtown for the South Side of Chicago,” says McCaffery Partner Edmund Woodbury. That’s not the case with South Works, which has no sewers, streets or other infrastructure to support a real estate development, Mr. Woodbury says. The TIF would cover those public costs, he says. The TIF money would cover nearly a third of the project’s costs, a high percentage for a private development, says lawyer and TIF consultant Samuel Polsky, a principal at Chicago-based Polsky & Associates Ltd.
“But it could be justified if it’s being used for streets, sewers and infrastructure,” he says. The City Council also would have to sign off on the TIF request. Mr. Woodbury expects construction to begin in 2013 and the first stores to open in 2014. McCaffery’s more immediate priority is to find retail tenants for the shopping center, a tough task in the current economy. The firm will be pushing the project “really hard” to retailers at the International Council of Shopping Centers trade show this month in Las Vegas, Mr. Woodbury says. The reception has been “quite positive” so far, he says, but retailers need to be educated about the neighborhood because they haven’t thought much about expanding there. “The city’s been so north-centric that it’s exciting to open everyone’s eyes to the South Side of Chicago,” he says.